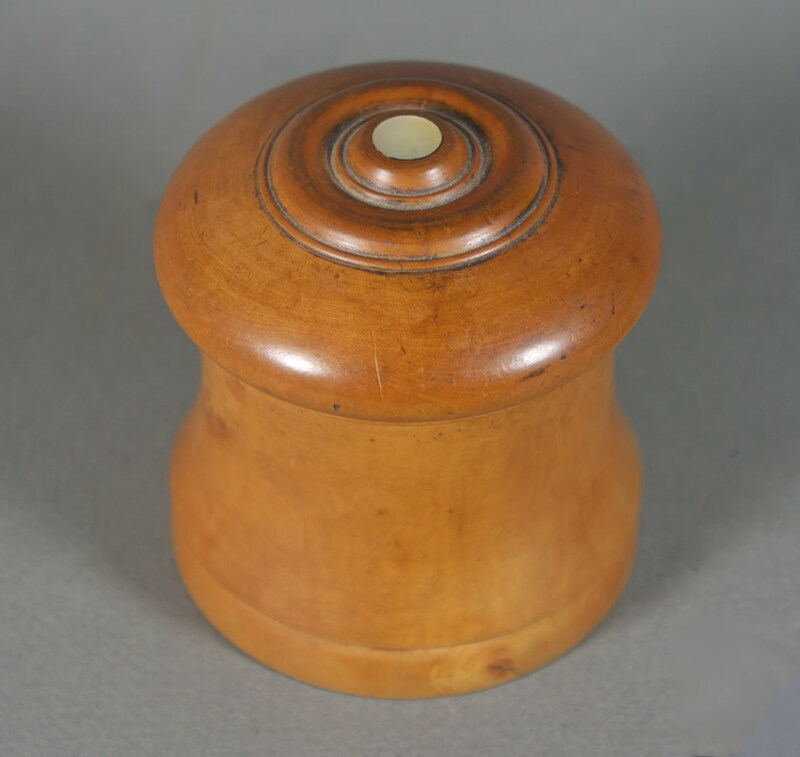 A 19th century English treen boxwood jar with locking pearl button lid. Size: 3″ dia. x 3-1/2″ high. 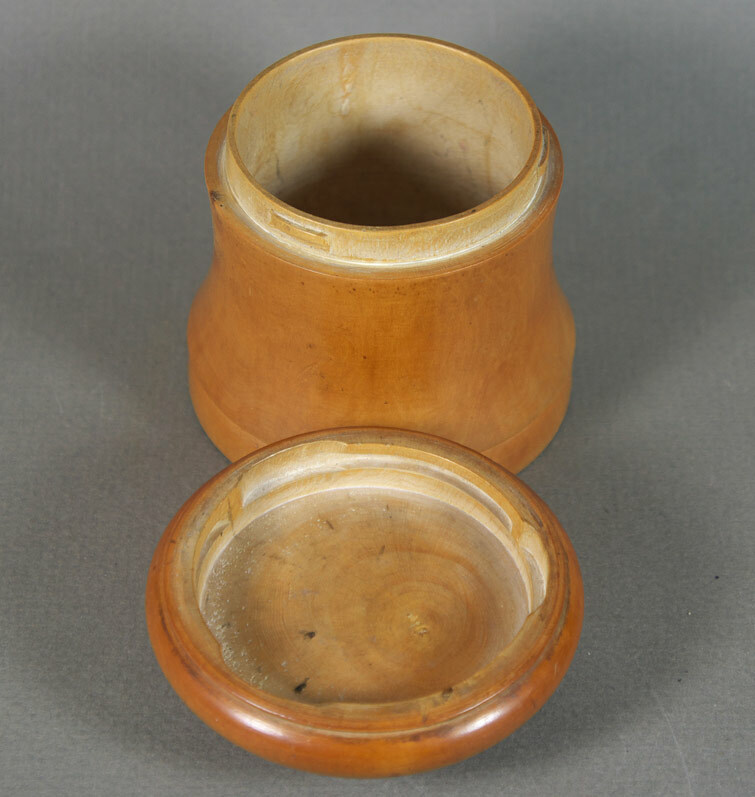 This type of container often contained a glass pharmaceutical or specimen jar.